Includes new Demo, try: Atlanta Motorsports Park! Build 998 brings a demo with Karts, Formula Renault 3.5 and the AC 427 to run around Atlanta Motorsports Park (replacing the Corvette C6.R, Formula Renault 3.5 and Silverstone Circuit in the old demo). This build is named for Max Angelo (Massimo Angiolucci), who was a well-known member of our internal testing team and staff. “It is with a very sad heart that we must say good bye to Massimo Angiolucci (Max Angelo), a dear friend and true fan of the sport. I have known Max for over 10 years. He was always a dedicated and devoted tester. He was consistent and diligent, working hard and pouring his talents into the sport he loved. He continuously contributed his time and energy, it’s hard to now believe he will no longer be joining us for a race, or emailing me his observations on some aspect or another. He lent a hand during testing, created translation files, was an ambassador to the Italian community and worked with us on a few commercial projects. Max was always easy to talk to. I never worried he would hold anything back and I was always free to tell him what I thought. With me, he was subtle with his disagreements but did not shy away from his convictions. The demo version can be used to pre-install the content within it, as it will use an existing activation if you have one. The demo is content-locked to a demo series until purchase/activated. The lite installer contains no cars or tracks, and allows you to select what you want to install. Lite can also be used to update a recent build by installing over the top. If you are not using a recent build (last 2) it is often easier to uninstall rF2 via the Windows control panel, then install Lite. The AC 427. One of the most iconic cars, and in many ways notorious. While possible to tame, it was known as the “Cobra” for a reason, it would bite back. A gentle touch was thus needed to handle this car. Having some 485hp in S/C state, with street legal tire technology meant that wheel-spin was almost always possible. In fact, it wasn’t until 4th (the tallest gear) before you could, with reasonable confidence, apply full throttle. On account of the engine having incredible torque, some 650Nm of torque from 3500 RPM, the 4-speed seems more than sufficient to accelerate the car from any speed. The S/C also features stickier rear tyres than fronts to keep the car stable, but the professional driver may find mildly understeery mid-corner, of course the right pedal is easily enough to overcome this at-will. The car also has very good stopping power featuring ventilated discs at the front and solid disc rear brakes. While tricky, this can be one of the most rewarding rides around. In S/C form, this was about the fastest road car of it’s time and has only since been matched by the most exotic supercars beginning in the 90’s. "World Series Formula Renault 3.5 is without doubt one of the top tiers of open wheel motor racing and often the final step for aspiring drivers into Formula One. We present to you, the latest iteration of the car in all its 2014 specification glory. Designed with driver development in mind by Dallara, the Formula Renault 3.5 comes equipped with technology used at the very highest level, such as semi-automatic gearboxes, carbon brakes and DRS. The combination of a 530bhp V8 engines, considerable downforce and Michelin tyres results in an extremely efficient car, capable of cornering at high speed." The rear spoiler features a drag reduction system (DRS) that can be activated by the driver. This system disrupts the airflow in order to increase straight-line speeds. Designed using computational fluid dynamics and later tested in a wind tunnel, DRS is a low-cost way to improve aerodynamic efficiency and increase performance. The suspension adopts a classic system for a single-seat racing car: double wishbones, pushrods and adjustable spring-damper units (one front, two rear). The two-way adjustable dampers are identical at the front and the rear. They are ultra-light and allow a weight saving of 4kg for the car as a whole. Similarly, the machined aluminium hub carriers increase rigidity by 65% and reduce the unsprung weight by 3kg per wheel. The brake discs, gripped by Brembo sixpiston monobloc callipers, are identical at the front and rear of the car. The discs use a new form of carbon and are designed for enhanced cooling. This, combined with the car’s aerodynamic features, makes the brakes hardwearing and efficient, with short stopping distances. Performance is achieved via a 530bhp V8 engine, developed by Zytek Engineering and connected to a semi-automatic gearbox with pneumatic activation. It offers a wide operating range, with the rev limit set at 9500 rpm (running on 102 octane fuel). The Formula Renault 3.5 employs a Ricardo six-speed sequential gearbox, which is teamed with a pneumatic rather than hydraulic control. This setup, developed with Shiftec, improves usability and saves weight. The selflocking limited slip differential offers four engine-transmission combinations, and the magnesium casing supports the rear suspension anchor points. Often described as the most pure form of motor racing, Karts are the ideal entry platform into the world of motorsports. Accessible to everyone with a capable body and mind, they are also one of the few forms of motorsport anyone can experience. Very early in the development of rFactor 2, we planned to bring karting to our product. Some of you may have seen the wallpaper images we released very early showing them. As we finally close in on their release, we thought this might be a nice time to help those unfamiliar with them. "The rFactor 2 karts will come in two different flavors at this time, the Junior and Kart F1. Don’t let the names fool you, the junior karts already provide a serious punch, producing 20hp in a vehicle weighing under 150kg (driver included). These represent a very competitive kart that require lightning fast reflexes. The Kart F1 steps this up, producing 40hp and weighing only slightly more. With such power, the front brakes on the ‘F1’ are a welcome addition." Subsequent builds (not this one) will include the newly announced gJED in the support/tools folder. Keep an eye on the rFactor 2 Dev Corner in the meantime, as we will most definitely make it available before our next build. gJED is the new mesh and materials property editor for gMotor2-based applications. gJED allows for real-time editing of gMotor2 content created in any content editor which can export the FBX file format. Content creators are no longer tied to a single platform (3DS Max). gJED is a real-time DirectX application built using the same engine and shaders as rFactor2, and therefore has most of the same graphical options as rFactor2. Much of the operation of gJED is similar to that of the latest gMotor2 plugins for 3DS Max. What can you use gJED for? Read more about gJED in the Wiki. – Added an option to the KnockoutQualifying plugin to have a fixed number of vehicles being scored in Q2/Q3/Q4, rather than have a variable number which was computed proportionally based on the number of vehicles in Q1. – Added the admin command /pitbyvehicle. This is similar to /pitbydriver and /pitbyteam, but finds matches to the Description in the VEH file. 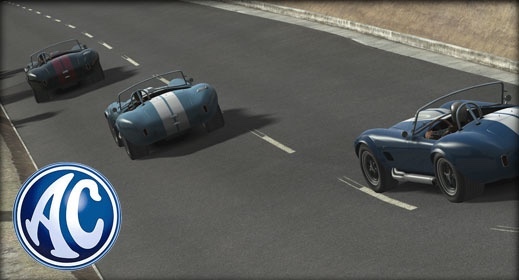 – Online map put player’s icon and the icon for the car to be followed under caution in front of the others so they are easier to keep track of. – Juggled some suspension geometry initialization so that caster changes affect the outboard pushrod location. – Added results file tag which lists the layout MAS file. – Made the key for triple-head configuration and the TGM display into a single configurable control. – Added onboard right track bar adjustment, which requires the HDV [SUSPENSION] setting OnboardRightTrackBarAdjustment=1. – Made fuel adjustment in legacy HDV variable BoostEffects work on new engine model (note that using the new turbo technology already results in more fuel being consumed naturally). – Corrected albedo levels on several particle textures. – Fixed an issue where a rear axle adjustment was essentially being done twice in initialization. – Fix for server not writing correct results when everybody leaves session. – An attempt to avoid the opponent car jitters that start happening after a few hours and get worse in long multiplayer sessions. This still needs to be tested (using the admin command /forwardseconds should help). – Fixed underbody scraping sound. – Small fix to prevent the upgrade tree list from updating the current track when not in realtime. – Fixed place readout and camera cycling by place in normal (i.e. non-instant) replay mode. – The wheels on other clients’ vehicles should usually rotate at approximately the correct speed now. – Attempted fix for race rejoin where client still thinks vehicle is under AI control. – Added “none” to AIW editor text display options. Fixed step distance/speed not getting saved for track overrides in AIW editor.